Today, Google updated one of their most popular apps – The Google Santa Tracker. One of the biggest changes for 2016 is a game called Present Quest which is very similar to Pokemon Go. Users have to walk around in an attempt to find presents throughout their town and city. With Google having access to Google Maps, one would imagine this will be a very popular feature as they will know where to “hide” presents. With Google also having a stake in Niantic, the company that makes Ingress and Pokemon Go, it should not be difficult to place presents in the more highly visited areas of a town or city. Look for presents to be located at post offices, libraries, government buildings and historical landmarks. Note that you also have the ability to find these presents on your desktop computer through your Google Chrome browser with the Santa Tracker extension. 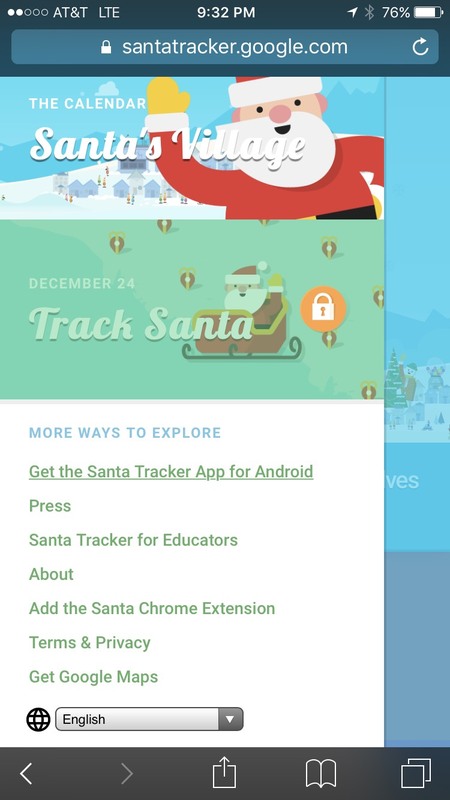 Note that you can get the Santa Tracker App for Android but there is not an option to get it for iPhone. This screenshot was taken from an iPhone so we can assume there is nothing available at the present time. With Google and Apple having a much better relationship today than in years past, it is surprising that this app is not available to iOS. Maybe Google is not happy about Apple getting Super Mario Run on December 15th and the popular Nintendo game not being available on Android before Christmas (that we know of).